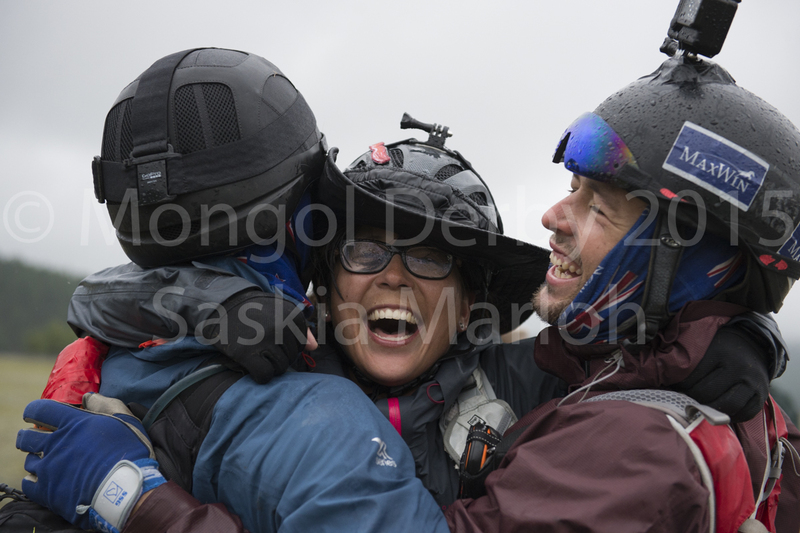 I´ve just come back from 3 amazing weeks in Mongolia, where I was assigned by The Adventurists, UK, to shoot their event, the Mongol Derby 2015, the worlds toughest and longest horse race, 1000 km in 10 days, 37 riders, more than 1200 horses, a big number of international and Mongolian crew members. …. and I am still yet to arrive back in our western civilization …. 3 weeks wildest Steppe, 1000 km on dirt roads in a 4×4 with my personal Mongolian driver and translator team, following the riders as close as possible, from desert sands to wolfs howling mountain regions almost at the Russian border, from dry “Australian style” heat of around 40 degrees down to cold Northern storms with icy rain further up north, we had it all. 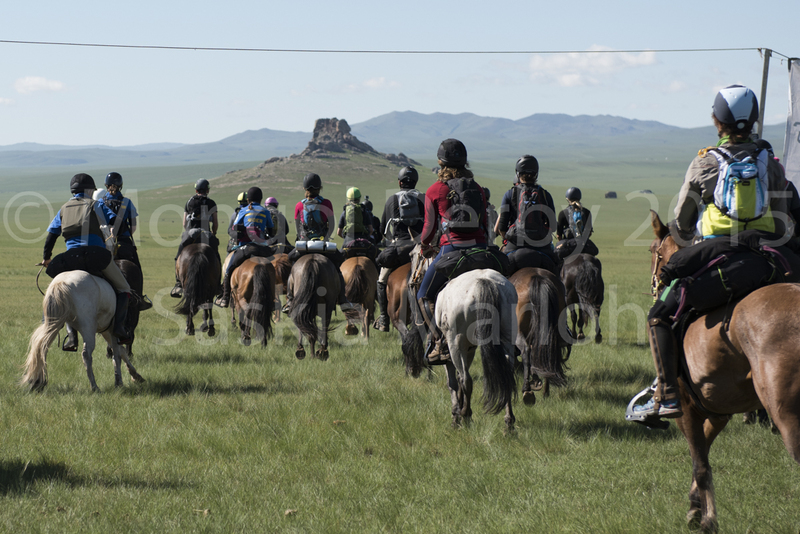 These riders have just been awesome, team spirit next to pure ambition, enduring, social and intercultural capable, adventurous, horse afin, riding, no matter what, almost dehydrating, getting their brain cooked like a boiled egg inside their helmets, (thanks to Pat Sells for this accurate expression) and a few days later trying to keep a grip on the wet reins or close a zipper with cold frozen fingers. We all ate with the Mongolian herders families, what they ate, some loved it (like I did, I even brought some dried yoghurt with me to Germany :-), some did less; Rice-mutton-stew, mutton-noodle-stew, salty milk-tea, Mongolian dumplings, fermented mare´s milk, dried yoghurt for dessert and for special occasions Dschingis Khan vodka. 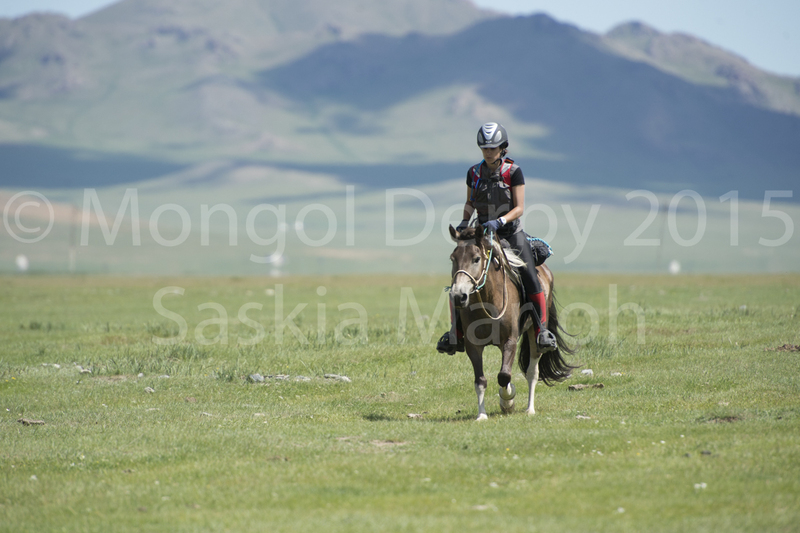 All horses are being just ridden once, from one horse station to the next, and being changed at about every 40 km. 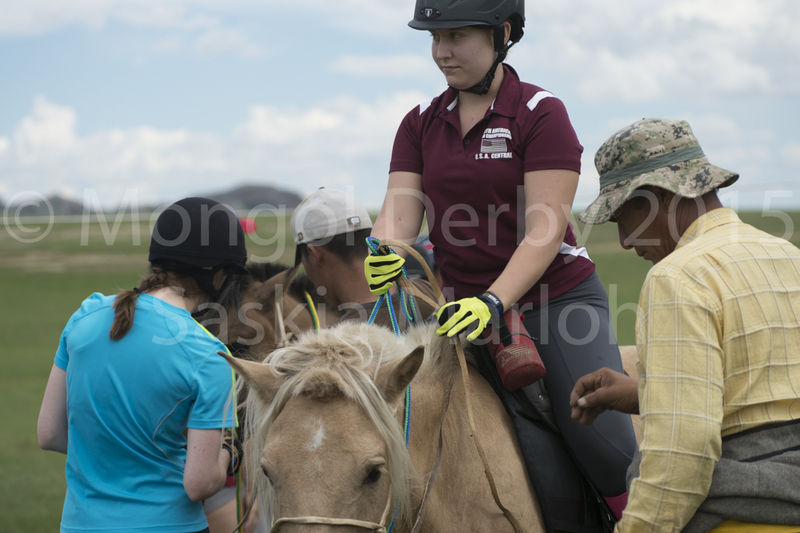 A big team of vets makes sure they are being looked after, as well as the riders themselves, as it is their responsibility to deliver a healthy horse at the next urtuu (horse station and pit-stop for rider and horse). 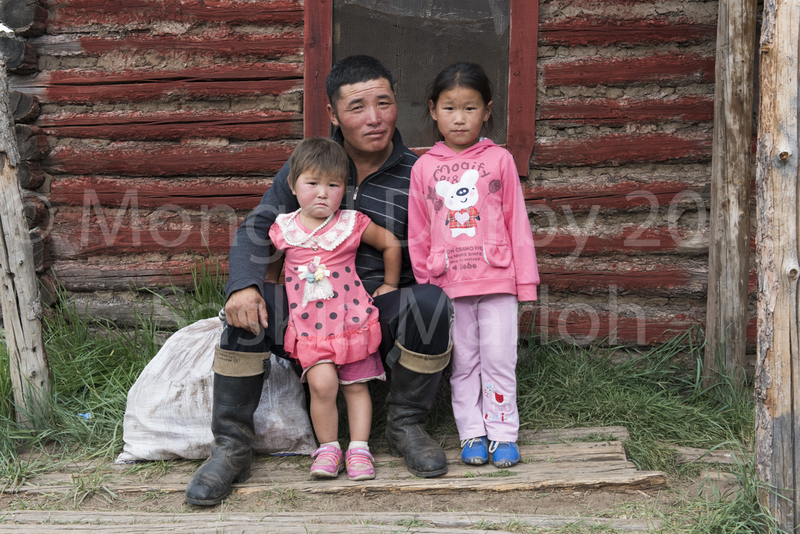 The Mongolian herders and their families, in whose gers (Mongolian tent-houses) we stayed, were incredibly hospitable and giving families, proud in their tradition and their roots, that we somehow in our Western worlds seem to loose more and more. 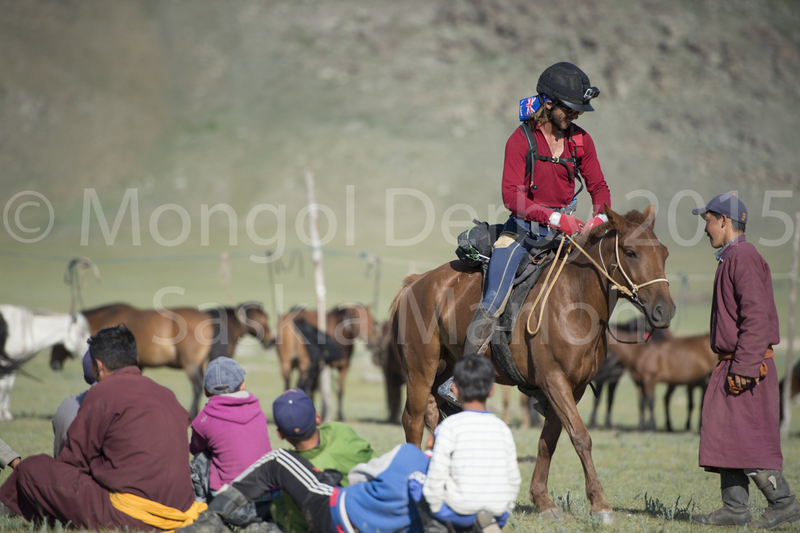 Many unforeseen moments happened there, with Mongolian being the most difficult language I have so far encountered, still communication was possible and gestures and split seconds are engraved in my memory. 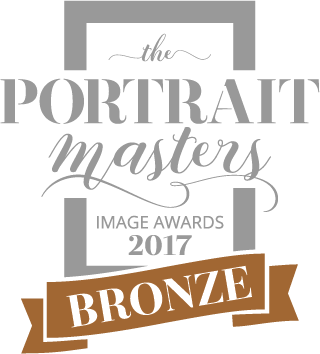 As a photographer I try to capture all the moments that happen around me. There were a few, that happened to myself, and with no-one to capture them. Here an attempt to describe them with words. 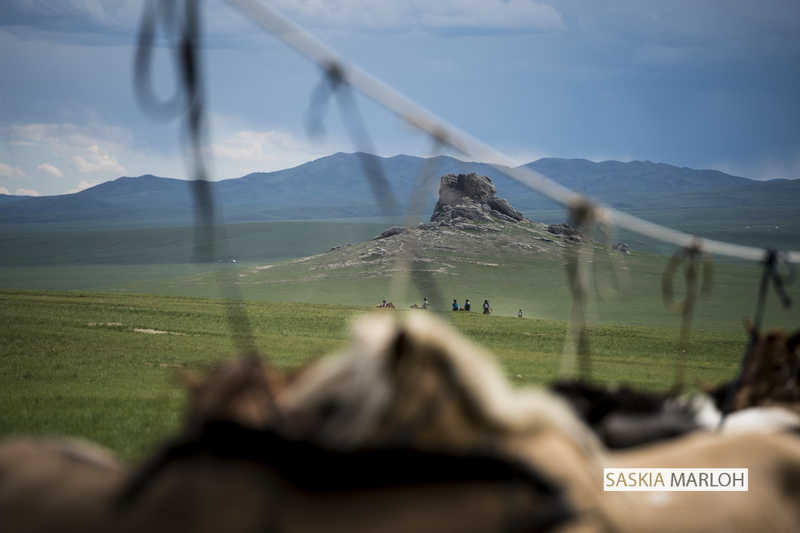 This moment, when the herder out in the wind-blown steppe underneath the relentless sun, speaks to me with hands and feet in Mongolian and then sits down to write with his finger his email address into the sand, so I may send him a photo of his 6 year-old son racing his horse in the Nadaam. 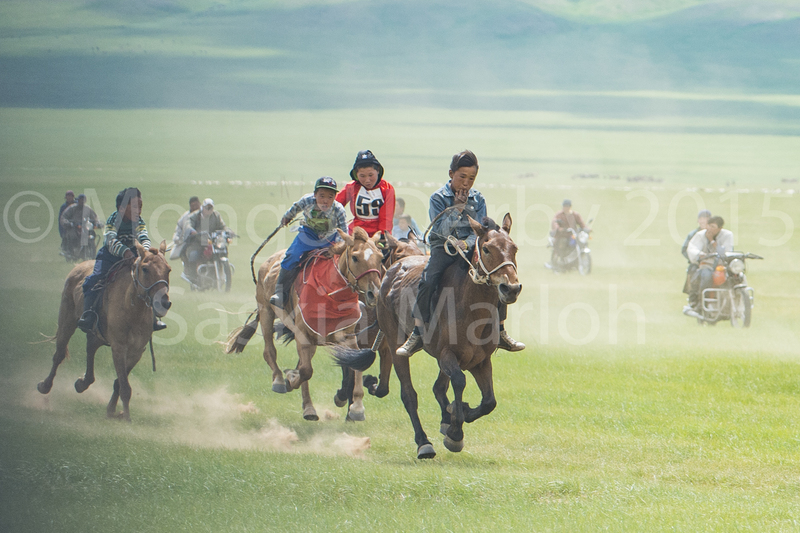 (traditional horse race). 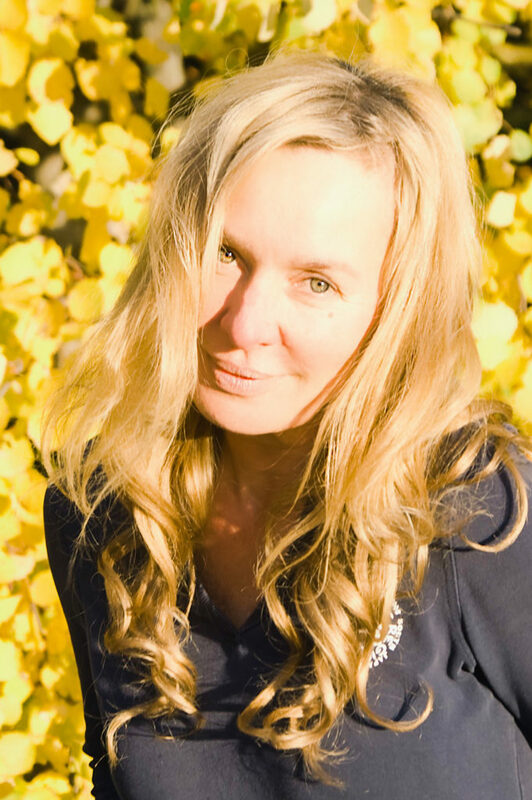 This other moment, when the beautifully dressed eldest of the tribe comes to me, puts her arms on my shoulder gently, holding me carefully with a smile and kisses me on both cheeks, then holds my hands in hers, speaks to me Mongolian with low voice, that has the intense singsang of a blessing, then smiles at me with her eyes and kisses me again and only then lets me leave her home, which is a beautiful ger in the purest Dschingis Khan setting one can imagine, on a hill-side overlooking wide grassy valleys surrounded by blue shimmering endless mountain ranges. 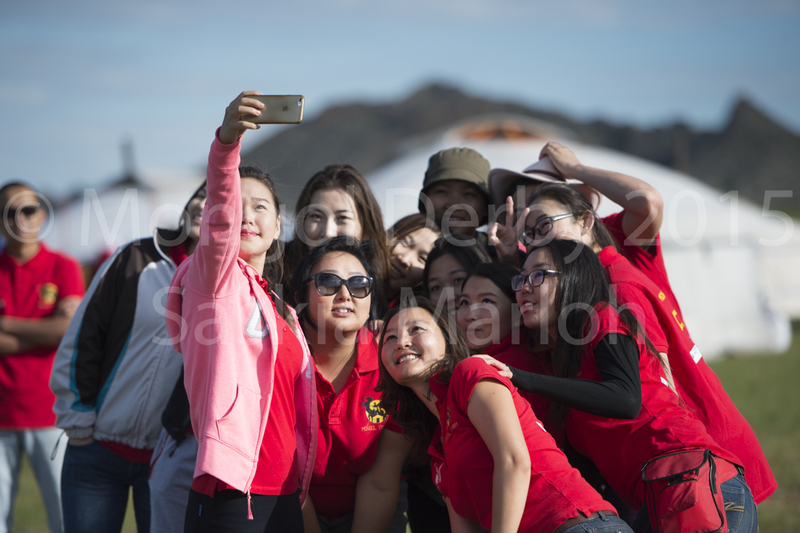 This one moment when I, after arriving at the urtuu just at nightfall after a long slow because steep mountain pass, I asked the people where the bathroom was. 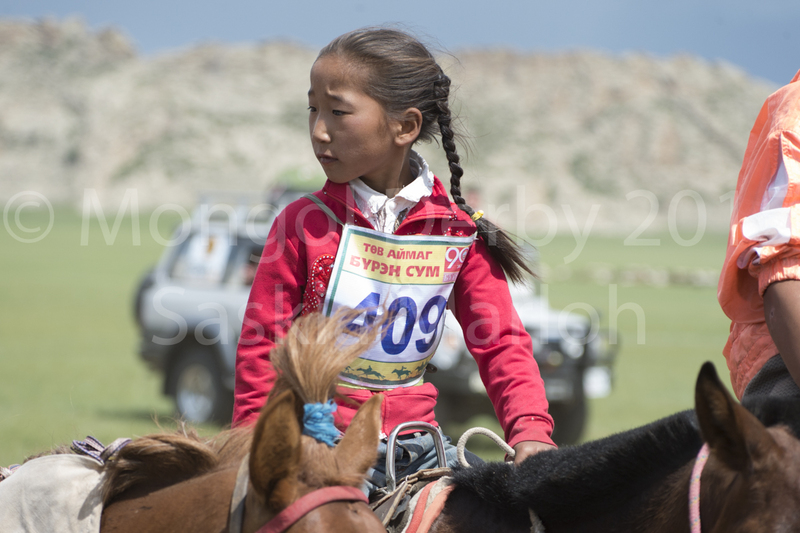 The little girl, probably 4 years old, accompanied me and showed me where it was, this special Mongolian toilet, in this case beautifully overlooking the river valley. She stood about 2 meters away from me and waited for me to come back out. The like a sweet little puppy galloped along next to me, looking at me, friendly, but with a serious face, back to the wooden cabin, where water to wash my hands and warm food was being prepared. …. many more little stories are forever stored in my memory. I know, I have to come back soon …. 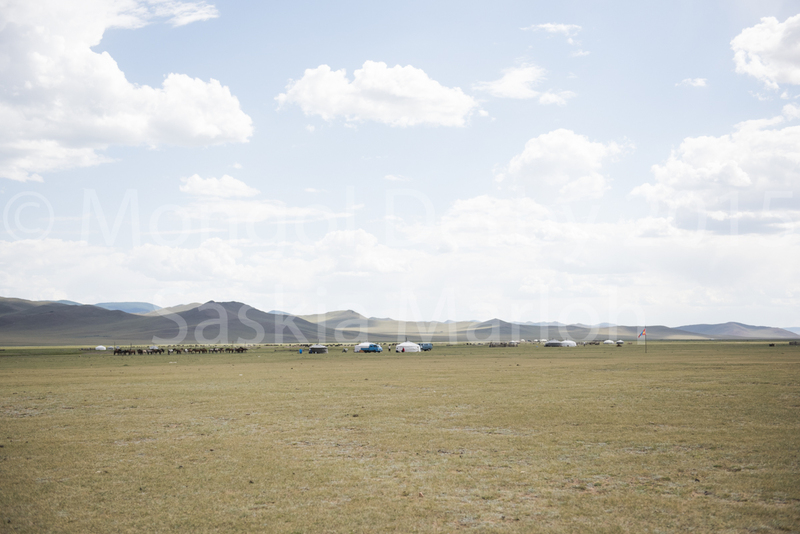 The Mongolian landscapes are overwhelmingly beautiful, many times I felt being back at the great emperors times, when approaching a camp of gers in the grasslands amidst horses and yak, I almost expected the emperor´s flags to be hissed once more. 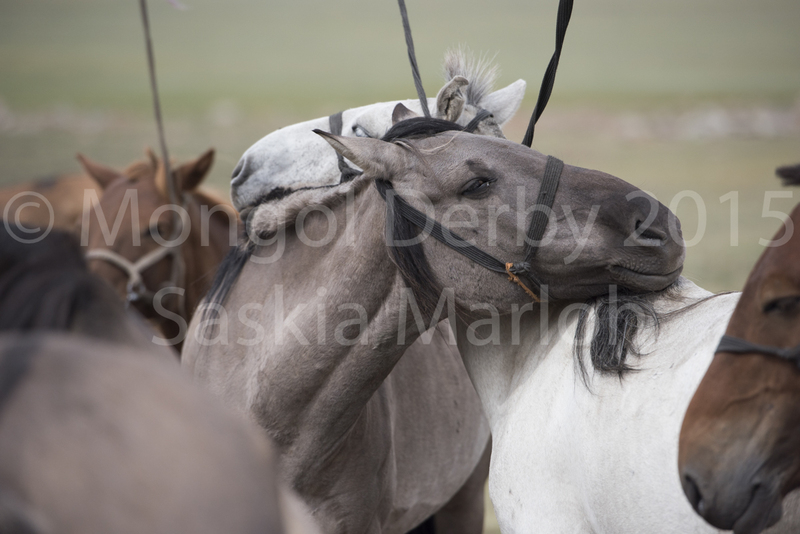 The local horses are very special too, each region had their special horse “family” with certain characteristics, colors and temperaments. I have seen such beautiful colors, some reminding of the Prezwalksi horse type and some of endlessly mixed horse colors on one horse. 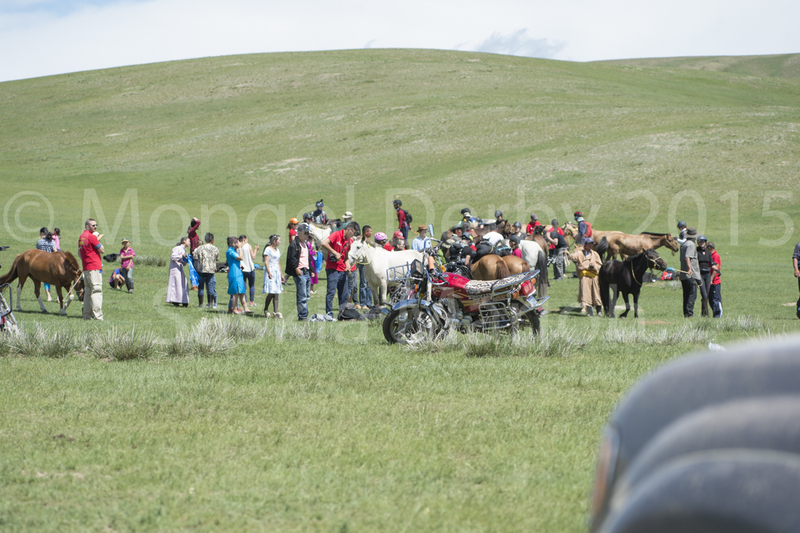 Some herders had mainly palominos, some pure and sturdy horses to climb the mountains, some light, surefooted, fast horses that would not often step into the mammot holes in the grasslands while they flew along in pacing gallop. Children grow up still being children, between ger´s, fireplaces and horses. 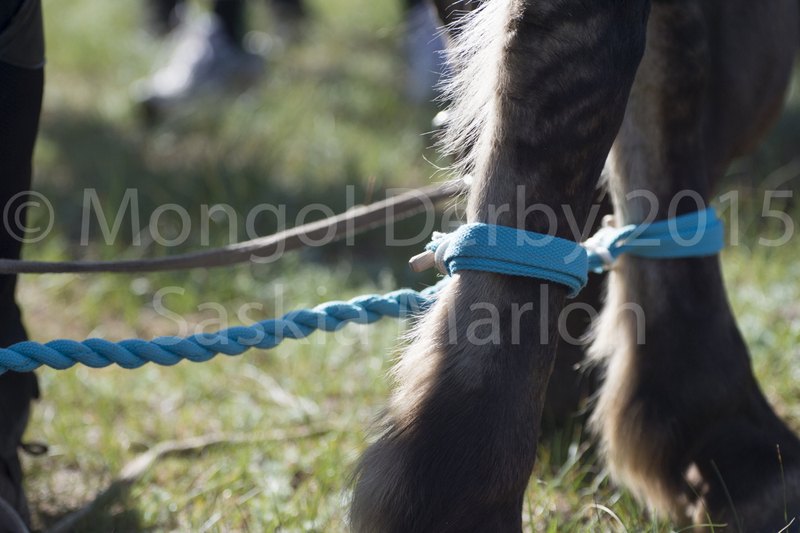 They climb onto their horses using the horse leg and mane, much faster than some of the well trained endurance rider legs-up. Like their parents they are quite proud and do not show emotion much. The back-bone of the event, the international crew members, vets, medics, as well as the indispensable staff that organized the office-back-end of the race, we all met, some for the first time, and after having spent weeks together in the Steppe, almost “striped naked” to our real and pure selves, we had become friends, based on the shared sense for extreme adventure and curiosity for foreign cultures. Almost a month is gone, since I landed back in FRA airport and I have revised the photos I took, quite a few times, but it still is difficult to pick “my” favorites. 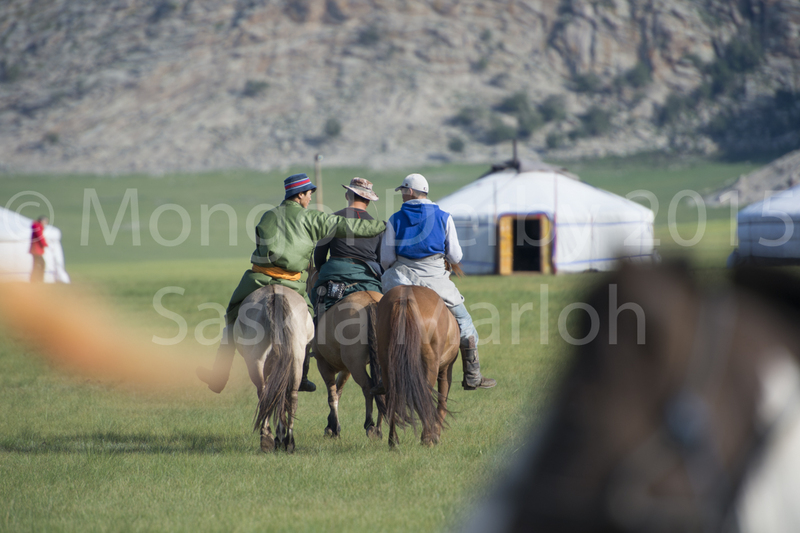 These here only try to create an expression of the experience and probably can´t do this extreme place Mongolia justice. 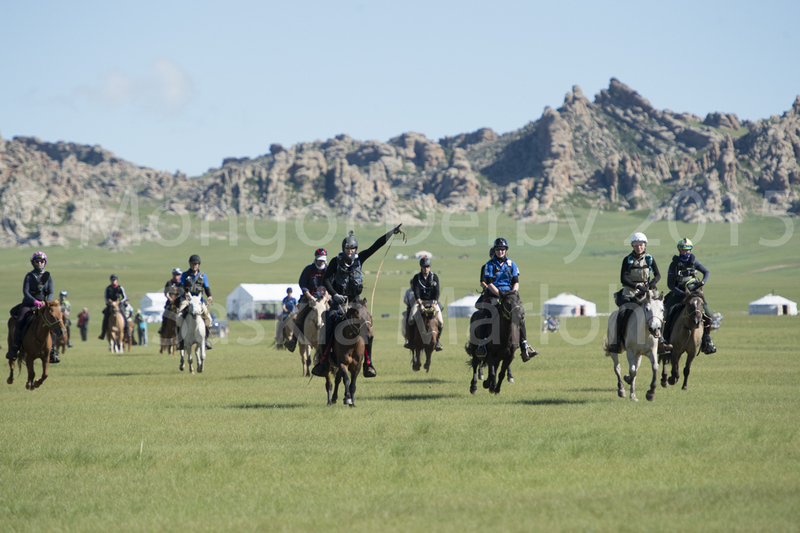 Mongol Derby 2016 now is open for your application. Consult The Adventurists website for more info.